Twenty years ago, Ericsson, Krampe, and Tesch-Römer (1993) proposed that expert performance reflects a long period of deliberate practice rather than innate ability, or “talent”. Ericsson et al. found that elite musicians had accumulated thousands of hours more deliberate practice than less accomplished musicians, and concluded that their theoretical framework could provide “a sufficient account of the major facts about the nature and scarcity of exceptional performance” (p. 392). The deliberate practice view has since gained popularity as a theoretical account of expert performance, but here we show that deliberate practice is not sufficient to explain individual differences in performance in the two most widely studied domains in expertise research—chess and music. For researchers interested in advancing the science of expert performance, the task now is to develop and rigorously test theories that take into account as many potentially relevant explanatory constructs as possible. Fig. 1. 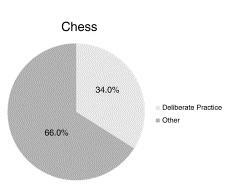 Average percentage of variance in chess performance explained by deliberate practice, correcting for measurement error variance. The light gray region represents reliable variance explained by deliberate practice; the dark gray region represents reliable variance not explained by deliberate practice. Fig. 3. 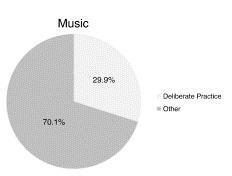 Average percentage of variance in music performance accounted for by deliberate practice, correcting for measurement error variance. The light gray region represents reliable variance explained by deliberate practice; the dark gray region represents reliable variance not explained by deliberate practice. asperger's, übermensch, genius, pc makes you stoopid, really really smart, wake up pc people!, you too can become a genius! previously: you, too, can become a physics genius! b*llsh*t, biology and behavior, different peoples is different (duh! ), genes and behavior, innate difference between individuals, lame-o, talent, true grit, what's this hbd business all about anyway? jonah lehrer says that … well, i’m not sure what he says. he kinda waffles, afaics: innate talents cannot, alone, account for success — one has to have the “grit” to keep on practicing as well — so success (or not) is not just a product of our natures. -? ?- something like that, anyway. of course, the question is begged: where does this “grit” come from? no? well, i can tell you about some natural born non-spellers: people with dyslexia. prolly not too many of them winning spelling bees. which brings me back to grit. where the h*ck does that come from? mightn’t that be innate? how about the hyperfocusing abilities of aspies? sounds an awful lot like grit to me. yeah. can we all just puh-leeeese get over whatever pc hangups we might have and agree that success in a field takes both innate abilities (i.e. talent) AND practice (the driver of which might be innate)? is that really so hard? previously: you, too, can have perfect pitch! “So how does that guy become a [crossword] puzzle ace? Besides training like an athlete, Mr. Feyer said, it helps to have ‘underlying brain power and a head for trivia.’ He always had high grades and test scores, he said. He excelled at math as well as music, abilities that he thinks go together with crossword solving. “What they all have in common, he said, is pattern recognition — as he begins filling in a puzzle grid, he starts recognizing what the words are likely to be, even without looking at the clues, based on just a few letters. you, too, can have perfect pitch! amaze your friends! astound your co-workers! after just 10,000 hours of listening closely to too many notes you, too, can have perfect pitch! accurately identify which note a struck bell has played even if you’re only seven years old! Identify the numerical value in hertz of a given note! (wtf?) name that tune in just one note! all it takes is 10,000 hours of your spare time! (and maybe you could try being a little more east asian.) really!! previously: you, too, can become a brilliant evolutionary theorist! you, too, can become a brilliant evolutionary theorist! amaze your friends! astound your co-workers! after just 10,000 hours of thinking about biology reeeeally hard you, too, can become a brilliant evolutionary theorist! all it takes is 10,000 hours of your spare time! 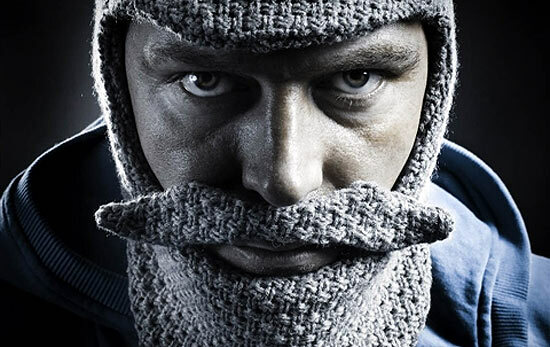 (and maybe a big, bushy beard.) really!! previously: you, too, can become the fastest man on earth! you, too, can become the fastest man on earth! amaze your friends! astound your co-workers! after just 10,000 hours of sprinting around your backyard you, too, can become the fastest man on earth! be faster than a speeding bullet! more powerful than a really powerful thing! able to leap those really tall hurdles in a single bound! all it takes is 10,000 hours of your spare time! (and maybe some nominative determinism.) really!! you, too, can become a physics genius! amaze your friends! astound your co-workers! after just 10,000 hours of studying physics you, too, can become a physics genius! uncover the mysteries of the universe for your fellow man! delve into the uncertainties (or not)! find out if the kitteh is alive or dead inside that box! all it takes is 10,000 hours of your spare time! (and maybe a funny hair-do.) really! !